We didn't make it :(. Although we managed to draw 2-2, overall we went out on forfeits incurred during the season....just 1 too many was enough. Not quite going out on penalties, more like fouls made ! Regardless, a good season for the team although my stats were an unimpressive played 7, lost 5, won 2. No real excuses although I will say that most of my opponents were my rating+200/300 so I don't feel that bad about it. I will also add that at least 2 games I lost on very stupid blunders which didn't help. Here's to next season and better chess ! Only my second win in TL45 this season, but an important one, as it levels the score at 1-1 ! 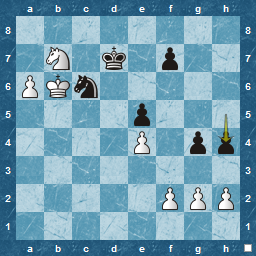 In both remaining games Chessmasters have White, so, the advantage should be with us. Herr Schmidt arrives home in Elisabeth Strasse, from another long day at the office, kisses his wife, ruffles the kid's hair as they run around him, happy to see Papa before bed-time. He sniffs appreciatively at the fine smells wafting from the kitchen where Gertrude, the cook, is preparing the evening meal ( Sauerbraten Klopse and Kartofelsalat : you have to economise in these dark Weimar-days of hyper-inflation ). "Ach", he thinks, as he ponders the smudged diagram..."It's quite an open position on the board, but Réti has a note referring to that idea of zugzwang that has been written about...this isn't so straightforward..." maybe after dinner, and the children are in bed, when Mathilde is sewing, and with a refreshing Weisse beer, inspiration will come.. This has been mentioned on a few blogs, but since its rare enough to have any media coverage, I give it here as well. As an extra there is also this ( news report ) about Armenian chess in general and, related to it, this ( Radio ) on how Armenian chess conquered the Chess Olympiads recently ( with Aronian and pals ) and of course where would we be without the fabulous Lewis Chessmen. Finally, and given the rating of my opponent, the fact that he plays 1.d4, and that I have Black, perhaps surprisingly, I gain my first win in T46. I have admit that this week I have not played blitz to any extent (I checked : 3 games on Sunday) and spent the time instead on tactics training, reviewing some Master games, the analysis of my previous loss and some investigation into what to expect today. The latter was a distinct 1.d4, which I have played against only once in my previous 15 TL games. As well as that, I don't really have a 'repertoire' against it, so it was a interesting opportunity. Finally : a win ! Finally, after 7 straight losses, a win ! For a change my opponent made a couple of small mistakes ( yet again a Knight move to g3 was involved ), and later an outright error to let me take the point. I'll post the full game later, after I've looked through it. It also might put the team through to the play offs, if I read the table correctly. A second Réti endgame study, this time published in the Teplitz-Schönauer Anzeiger from 1922, a newspaper from Teplitz-Schönau in Sudetenland ( now in the Czech Republic and called Teplice ). This was the location for the Teplitz-Schönau tournament in October 1922, so possibly Réti had it published because of, and during the tournament period. He came joint first at this tournament ( with Spielmann ) managing 5½ out 6 against other prize winners, with victories over Spielmann, Tartakower, Rubenstein, Kostic and Teichmann, and a draw with Grünfeld. 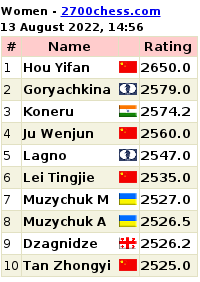 Chessmetrics estimates this as the third strongest tournament of 1922 ( London was the top ) including 6 of the top 10 players in the world at the time. Interestingly the brilliancy prize was won by Heinrich Wolf for his victory over Réti. He was the player involved in a 1902 match with Bernhard Kagan, mentioned in my previous Réti study post ! The pre-amble courtesy of Harry Golombek (who wrote most of the first chess books I read ! ). "The danger of stalemate is the unexpected theme of this remarkable composition. 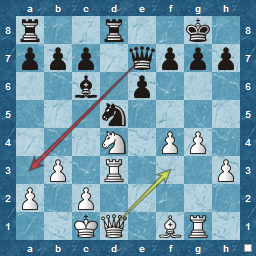 White's opening move is indeed a paradox in which the King, instead of seeking centralisation, tries to escape from the field of action." A handy hint for us patzers ! My 7th straight loss, but despite this I had an excellent opening and middle-game, although mis-calculating in the endgame to lose. I played the first of my T9030 games last night. Overall, enjoyable, but I continued my losing streak with a misguided early h3 ( intending to support g4, but not really correct ) and a pretty bad blunder. The position wasn't best before this, but I really shouldn't miss such tactics. Not an excuse, but the time limit should not be under-estimated. Not being at my peak to start with doesn't help after 2,5 hours of play. 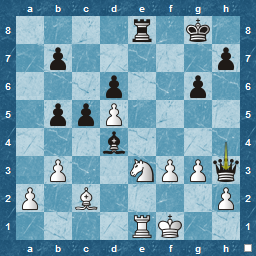 Bizarrely ( or maybe not, I would need to think about it :) I seem to reach the endgame in Blitz quite often these days. Perhaps, its because I play a lot of King pawn games and simplify ? Regardless, they are a useful exercise if examined afterwards. 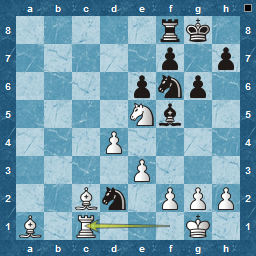 Here's a Knight & pawns game, that White is ahead on. There is a killer move ( which I missed ! ) to end it quickly, rather than the additional 20 moves I took. Seems so obvious afterwards, but lack of time doesn't help when playing. 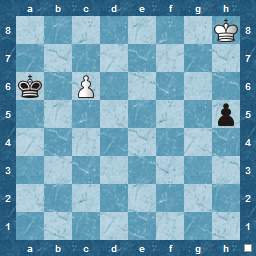 I'm sure such endgames are simplistic once past a certain chess level, but to me, they still require significant thought, be it in Blitz or standard. 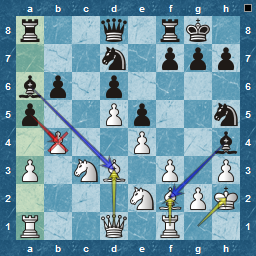 I think its the fact that you know that being just a pawn up should be a win, but you have to prove it, especially in Blitz and against the clock ! 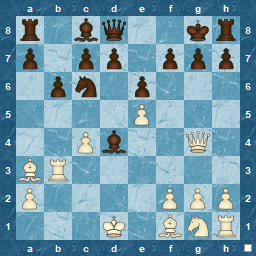 A famous endgame study, and one of the first by Richard Réti, published in Kagan's Neuste Schachnachrichten in 1921. This was a chess magazine, published by Bernhard Kagan in Berlin from 1921 to 1932. Bernhard Kagan was a German chess player, but better known as an organiser, editor and publisher. You can see 3 games of his here, which match the three in my database, so these are probably the best known of his from a 1902 match versus Heinrich Wolf, which he lost 4,5 - 0,5. Considering that Wolf was estimated to be in, or close to, the top 10 in the world at the time and Kagan somewhere near the bottom of the top 100, that's not too bad ! At the time, the key players were names such as Lasker, Maróczy, Janowski, Schlecter, Tarrasch, Chigorin, as well as Pillsbury and Atkins, so both were in good company. However, back to the endgame. The idea is straightforward ( after thinking about it ) , and the first move is also easy to work out, its what happens after that is intriguing. 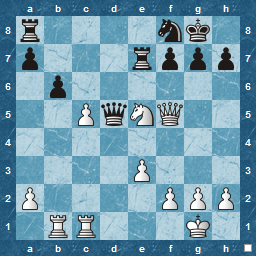 I have to admit, that in blitz, as White I would probably lose ! 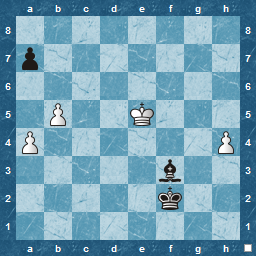 Note it is a drawing endgame for White and not a winning one. For some reason, White has played Kh2. 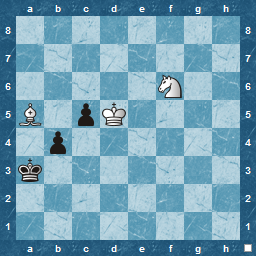 This gives Black an opportunity to win a pawn. 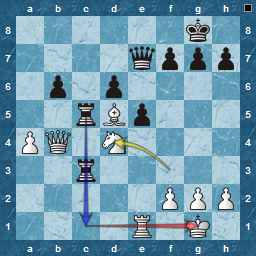 The b-pawn cannot now be captured because of Rxa1 ! An example of removing the guard : a double guard in this case.